If you’re looking for remarkable periodontal and dental implant services, you should come visit the Beverly Hills Periodontics and Dental Implant Center. It’s a state of the art facility led by a first-rate periodontist in Los Angeles, Dr. Peiman Soleymani. A Diplomate of the American Board of Periodontology, Dr. Soleymani has been an active periodontist in Los Angeles since 2000. He holds two dentistry degrees: a doctorate in Dental Surgery from the UCLA School of Dentistry and a Periodontics and Dental Implantology degree from Oregon Health Sciences University. Since graduating, Dr. Soleymani has been a teacher and periodontist in West Los Angeles and the surrounding areas. Besides his private practice, he has been an instructor at the USC and the UCLA Schools of Dentistry. His reputation as a published academic truly benefits his work as a periodontist in Los Angeles and his many satisfied patients can attest to that. In addition to having an excellent periodontist in Santa Monica, the Beverly Hills Periodontics and Dental Implant Center uses innovative technologies that set it apart from other offices. The facility makes smart use of new imaging equipment, such as digital radiography and 3D-CT Scans, for treatment planning and placement of dental implants in Los Angeles. The 3D-CT scan allows for a more accurate image, giving the periodontist in Studio City a lifelike picture in 3 dimensions which allows for implant guided surgery. These both provide key information to the doctor, permitting him to do unparalleled work. For many cases, conservative periodontal treatment is very effective for the treatment of gum disease. Conservative gum treatment via deep cleaning, use of localized delivery of antibiotics, and laser dentistry is very effective for the treatment of many gum diseases. In some cases, some gum disease surgery is recommended which may include debridement, bone and gum reconstruction via bone grafting, ridge augmentation, and/or gum grafting procedures. Dr. Soleymani and his team can help treat your gum disease, save your teeth, and restore your gums back to health using advanced periodontics and cosmetic dentistry techniques. More popularly known as gum disease, periodontal disease is a common infection of the gums. Generally speaking, practitioners refer to the mild type as gingivitis, and to the more moderate to severe form as periodontitis. Periodontal disease is highly treatable in general; however, if left unchecked, it can lead to serious oral health issues. In most mild to moderate cases, the treatment can be as simple as one or two visits for scaling and root planning (deep cleaning) followed by regular cleaning appointments at a periodontal office every three to four months thereafter. In more severe cases, gum surgical procedures with or without soft tissue or bone grafting procedures may be required. Traditional dentures and bridges have many limitations. 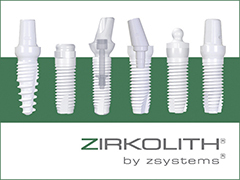 Dental implants are now universally regarded as the gold standard solution for tooth replacement. It’s not just that they are more attractive and vastly more convenient for patients because they look and act just like real teeth. They are also the only treatment option that predictably stops bone loss. Bone loss in the oral cavity can affect the shape and look of one’s facial structure. In extreme cases, it can potentially cause numbness of the jaw. In most cases, a tooth with a poor prognosis is extracted and a bone graft is done simultaneously. With the advent of new technology, in some cases, an immediate implant can be done on the same day allowing for a shorter treatment time before the final prosthesis is completed. In cases of missing teeth, it is not uncommon for a patient to need ridge or sinus augmentation initially in order to provide a good bone foundation for future implant therapy. An excellent bone and soft tissue foundation will ensure a much better result and lowers the risk of future complications. For a consultation with Dr. Soleymani, visit www.bhperiodontist.com or call 310-275-4606.